SPA Tervis also takes care of the spare time of its guests. In our culture centre there are concerts of international performers in the evenings. 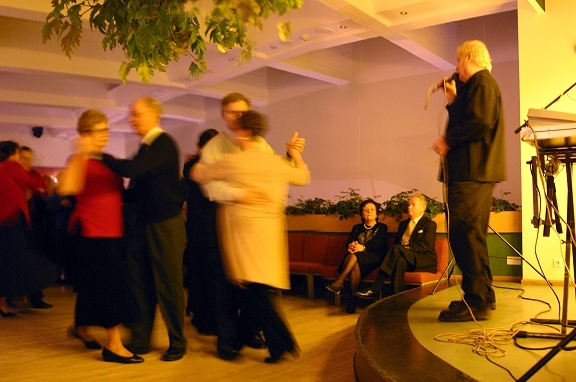 In addition we organise dance nights for our guests, thematic days, exhibitions, etc. Many guests prefer to spend their New Year’s Eve in Spa Tervis. We are also willing to offer the hall in theatre style that seats 286 people for arranging concerts, theatre performances, company events, etc. While staying in SPA Tervis, you can also visit scenic sites in Pärnu and in Estonia. Our qualified guides are ready to take you to different tours. In addition to the events organised by us, you can also take part in other cultural events in the town of Pärnu. The Endla Theatre, the Pärnu Concert House, multiple night clubs and restaurants make your visit to Pärnu memorable and versatile. You can make your stay even more enjoyable by taking part in the cultural events being held in Pärnu. You will find the programme of events here. To bring happiness to people who love concerts and dancing, we have customer cards of the entertainment centre on offer, which give you a discount in taking part in the events. 10-time card for 16 €. The customer cards are available at the ticket counter of the entertainment centre.